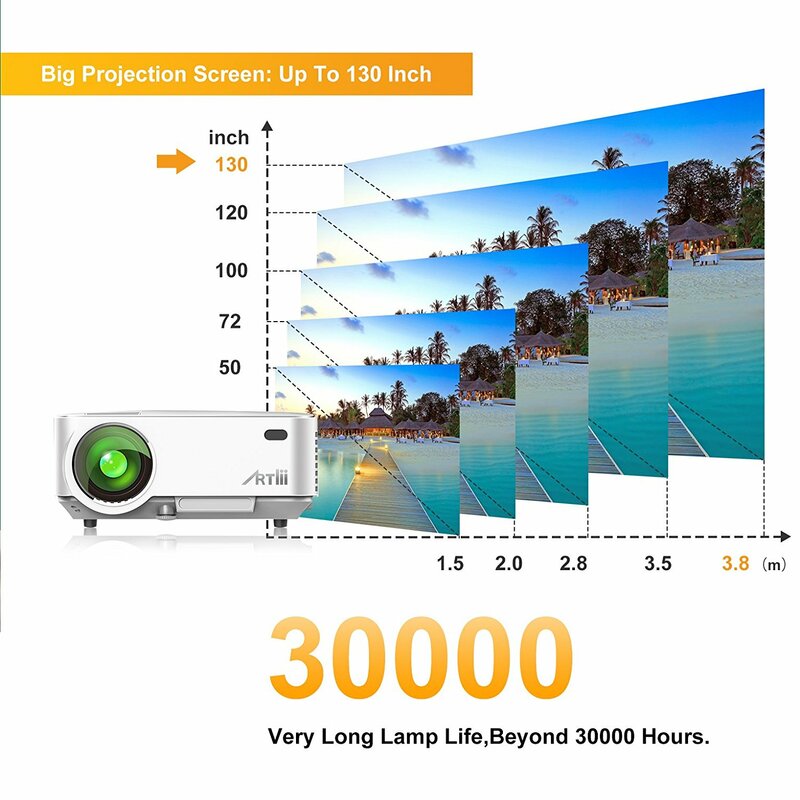 Artlii Portable LED Mini Projector lets you enjoy fantastic visual experience as it is able to offer a big screen of up to 130 inches. Not only this, it offers clear and sharp images (high quality) and great color performance. Hence, you will be able to enjoy your favorite videos, matches and play games on extremely wider screen. 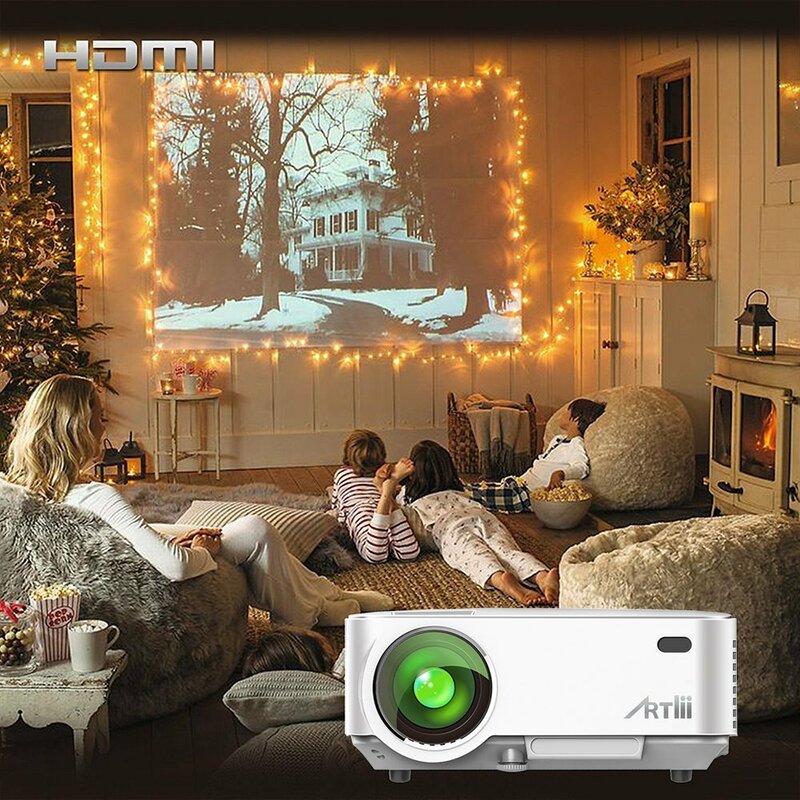 Besides, it offers great audio experience as this Artlil LED projector carries 2 high grade speakers that produce powerful and loud sound. 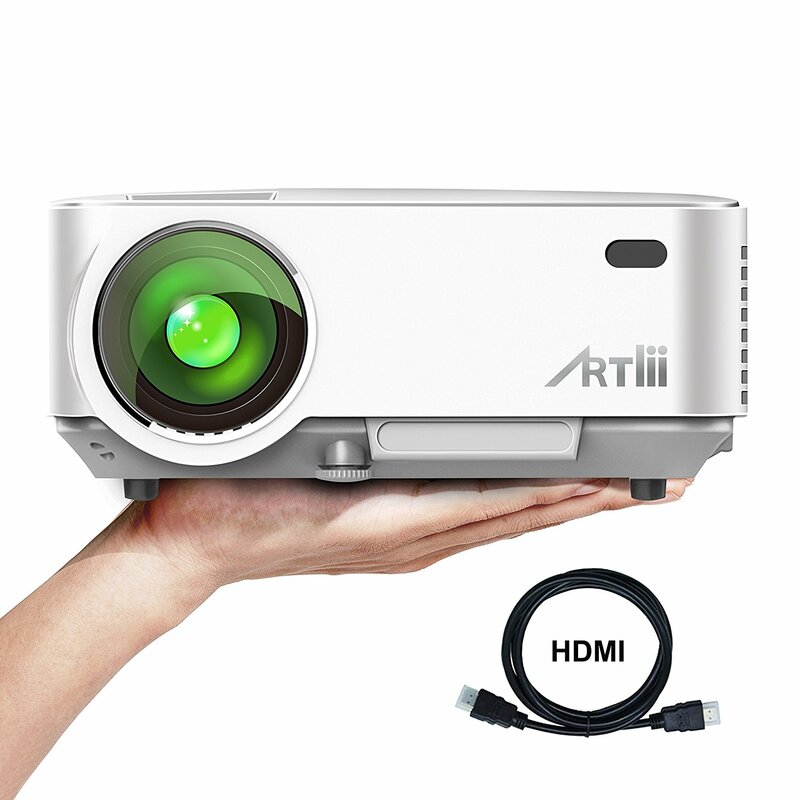 This Artlil LED video mini projector is compatible with too many devices. 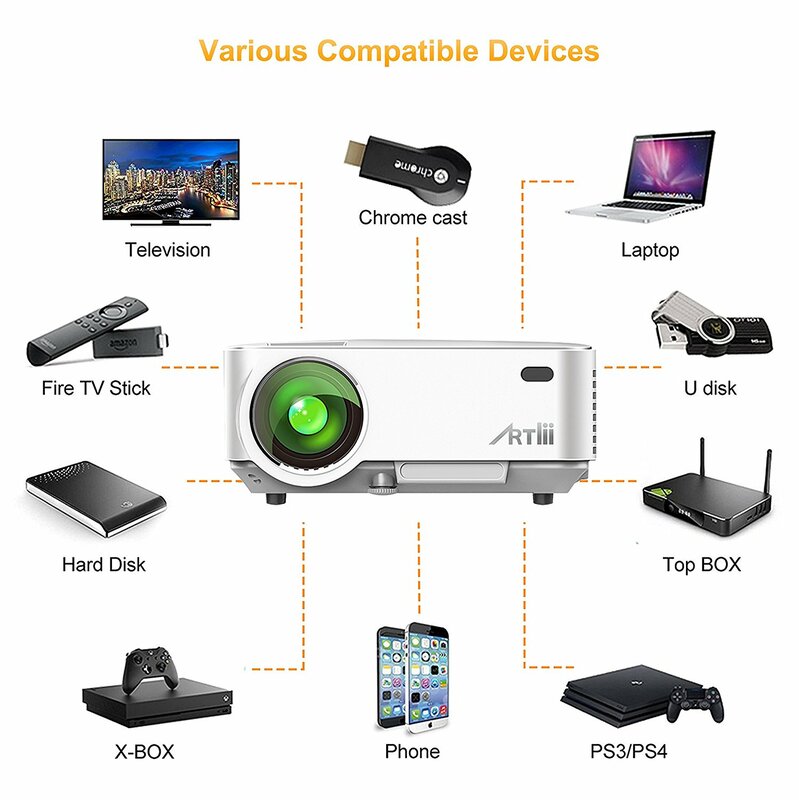 You can easily connect this mini projector with iPhones, iPads, Android based Smartphones, laptops, computers, gaming consoles, tablets, Macs, Cameras, Stereo, Television Boxes, STB, Blu-ray players, DVD players, Fire TV Stick and many other devices.